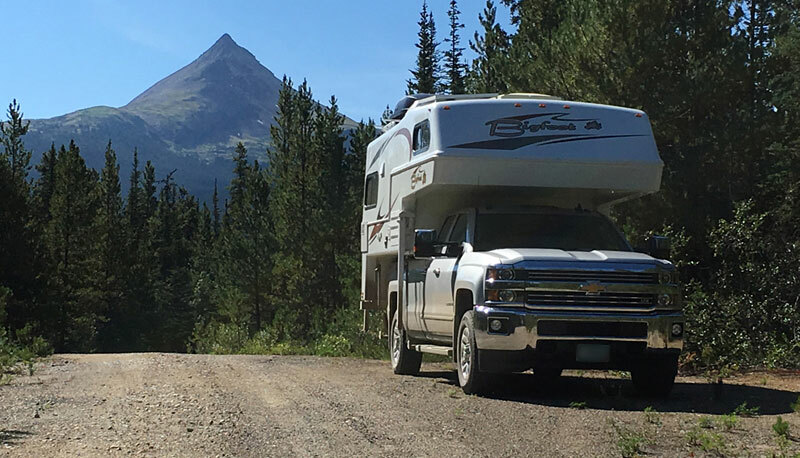 As Gary Whistler stated in his must-read, “Truck Camper Driving Safety” series, it is important to know the dimensions of your rig and to have a spotter. The following stories demonstrate just that sentiment. And it’s not always tree branches. It can be low cable lines, bank awnings, bridges, tunnels, and more. Look up! We bought our first (and only) truck camper in 2004. Not only had we never been RVing, but we had also never driven a truck. After a successful maiden voyage to the Ozarks, we were feeling pretty cocky about this RV thing. A few months later we went on our first long trip to Florida to visit friends, family and various parks. Near the end of the trip, my wife had seen billboards about a selection of thousands of swimsuits that she wanted to check out. We pulled into the gravel parking lot with a huge oak tree in the middle. After she completed her shopping, rather than backing up and going out the way we came in, I decided to just circle the oak tree. What I didn’t see on the other side of the tree was this huge limb sticking out about ten feet off the ground. Unfortunately, my camper is about 11.5-feet tall. The limb literally crushed the air conditioner. When I backed up the truck, the sound was gut-wrenching. It was even more gut-wrenching to see the damage to my brand new Lance 820. Fortunately, there was a Lance dealer within 50-miles of the incident. But, this was during their peak season. Lucky for us, they took us in and were able to find us a new air conditioner the same day. Always, always make sure you are aware of obstacles shorter than your camper’s height. It sounds like a no-brainer, but there’s nothing like that first bad mistake to make you so much more careful. The picture above shows the type of oak tree that ate my new air conditioner. It was something like that but much larger and the limb was much closer to the ground. The trunk was massive and hid the limb from my viewpoint. I drove into an overhanging tree branch while parking on a side street. Fortunately for us, no damage was done. Our good friends who full-time RV instructed us about parking and teamwork. That was a lesson learned. Never back into an area without a spotter watching the clearance on the top and sides. As a driver, the passenger’s assistance is crucial. Have your partner help to look for hazards, especially when parking is essential. Don’t Bother. We’ll Be Fine. Sometimes it is the simplest thing. My wife usually guides as I back up, but we had a campsite that seemed clear of trees, so I said, “Don’t bother. We will be fine”. Famous last words. I backed right into a tree, luckily not sustaining much damage. No matter what, my wife now guides me as we back up in campgrounds. On one occasion an overhanging tree knocked the TV antenna clean off the roof. On another occasion, a branch got stuck and ripped off part of the roof rack. Always check your height. Being close to 12-feet high means that you can’t go everywhere. 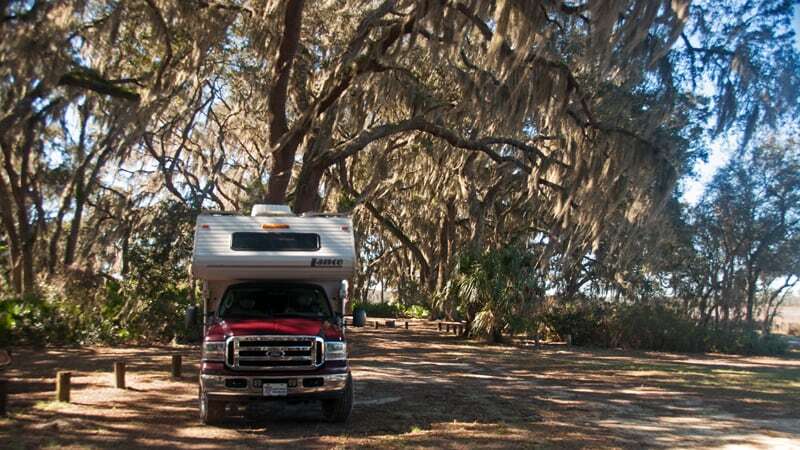 Home » Truck Camper Magazine Blog » Trees vs. Campers: Guess Who Wins?